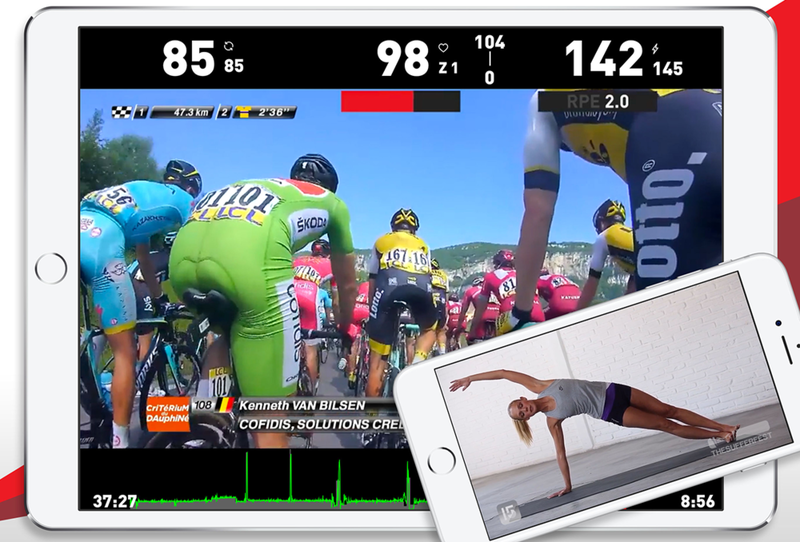 The Sufferfest is the most comprehensive training app for time-crunched cyclists and triathletes. You get unlimited streaming or offline access to a massive library of structured cycling, running, and triathlon workouts, 30 Yoga for Cyclists videos, and a 10-week Mental Toughness Program. Every workout is designed by elite coaches and sports scientists to provide maximum benefit with minimum time, combining killer soundtracks, engaging storylines, and exclusive footage of the world's biggest professional races. Exclusive to The Sufferfest, Four-Dimensional Power (4DP™) measures how you produce power across a range of efforts to provide the most effective workouts available. The app also includes over 100 training plans for road, mountain, triathlon, and cyclocross. Connection to smart trainers and other fitness devices allows you to train to specific targets, analyze performance data, and share instantly with platforms like Strava, TrainingPeaks, and Garmin Connect. Available for iOS, macOS and Windows. For more information visit The Sufferfest.